This is a real blast from the past. 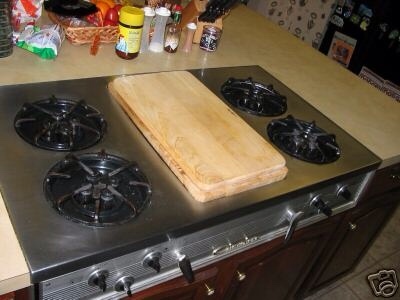 I don’t remember much about Chambers Ranges and cooktops. They were purchased by KitchenAid back in the mid-1980’s. (At the time KitchenAid brand was part of Hobart. Later Whirlpool purchased KitchenAid). Chambers had some unique and distinctive features and a price point that definitely put it in the premium brand category for ranges. Of course, back in the 1980’s, brands weren’t segmented as they are today. Chambers had a funky pop-up griddle/broiler feature, a thermostatic cooktop control that was called “a burner with a brain”, a deep well burner with a sunken pot, and the famous daisy burner. 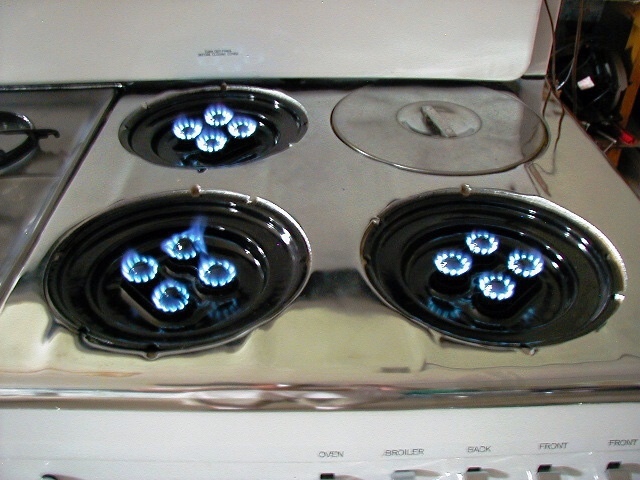 The daisy burner was adopted by KitchenAid and continued to be used on some KitchenAid cooktops long after the demise of the Chambers brand. The daisy burner was impressive. It consisted of 4 or 5 small burners arranged in a circle. Each small burner was not any bigger in circumference than a quarter and had maybe 12-15 individual burner ports. I’ve read that it produced about 12,000 btus which was enormous back in those days. Among the antique brands that are being sold on the internet today, a restored Chambers range can fetch a handsome price. This entry was posted in Appliances, Cooking and tagged Chambers, cooktops, Daisy Burner, Hobart, Kitchenaid, range, Whirlpool. Bookmark the permalink.